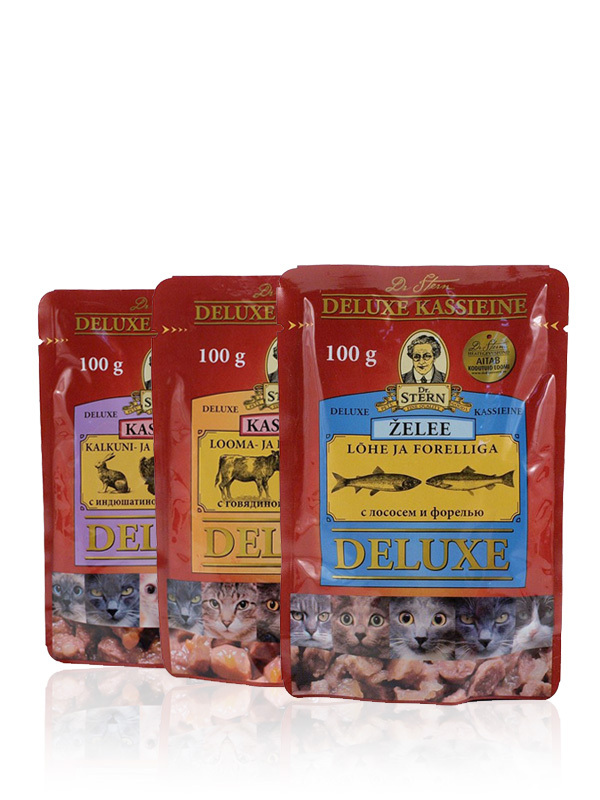 The Dr Stern pet food range includes a very large variety of pack shapes and sizes. On some of the very small packs, there is not enough space for several languages on the front of the pack. On these pouches packs, only 2 languages are used, but the antique style illustration communicates the flavour and ingredients.